Laverbread, or bara lawr in Welsh, isn’t something you can pop in the toaster or slather with butter. This thick pulp of laver seaweed looks more like squid ink risotto than a slice of sourdough. Making it even more of a misnomer, the Welsh often spread this “bread” on toast. Locals have foraged wild laver from Wales’ rocky coastline for centuries. Some suspect that Norse occupation in the ninth century may have caused food shortages that forced the Welsh to seek nourishment on the shore. But even if the Welsh turned to bara lawr out of necessity, they came to prefer it. Sixteenth-century author William Camden describes the country’s “peasantry” collecting what they called lhavan (“black butter”) in his book Britannia. Across the globe, another island nation embraced the same ingredient: Japanese chefs use sheets of dried laver, which they call nori, to wrap sushi. Why call it “laverbread”? In Britannia, Camden describes the Welsh drying their seaweed, then kneading it “as they do dough for bread” and forming it into balls or rolls. Some ate the green-black pulp raw, while others fried it with oatmeal and butter. Today, cooks serve the mixture by rolling it in oats, then frying or baking the patty in bacon fat. The finished product can be anything from porridge to bread. Because of its briny, fishy flavor, bara lawr is often served with a wedge of lemon. 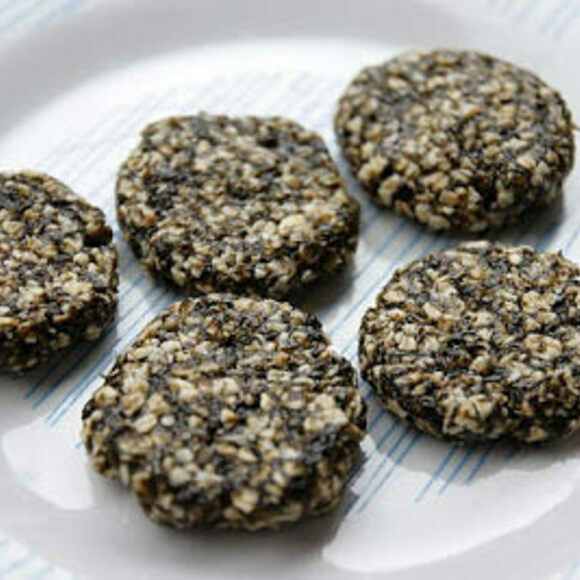 Laverbread also makes an appearance in one of the United Kingdom’s best-known dishes: the full breakfast. Laborers across the islands fueled themselves with this hearty combination of bacon, sausage, eggs, tomatoes, and bread. Each country put their own spin on the dish—the English fried bread, the Scottish made oatcakes, the Irish baked soda bread, and the Welsh fashioned laverbread. In 18th-century Wales, miners helped the seaweed become a breakfast staple. Though the mining industry isn’t quite what it was in the 1700s, bara lawr remains a popular element of Welsh full breakfast. In 2017, the European Commission designated laverbread as a protected food, giving it special status as a regionally distinct product. Its story began with the coastal peasantry, but it lives on among the likes of Champagne and Parma ham. You can make your own laverbread by drying laver collected from the shore along Wales, or by purchasing a canned version of the seaweed. A bed and breakfast serving traditional Welsh dishes, including laverbread and bacon.